If you’ve forgotten your password you can reset it. Follow this link to do so. Gift wrapping is available. Please enter details in the order notes prior to checking out. A fee of $3 is applied to your order. Our packaging ensures that all items be bagged separately. Our Size Chart is included in most listings as a chart or in the description. If you do not see a range close to your measurements, please include in your Buyers Notes. Most everything I make is with stretch fabric. Any stretch should be cared for as delicate to preserve the elastic as well as color. We recommend that all of Tango With Love’s apparel be washed cold delicate machine cycle or hand washed cold then laid flat to dry. Lycras/Spandex/jerseys bounce back pretty fast so its great for travel. All of our laces are quite fragile yet sturdy . No need to dry clean but must be hand washed only. Most items are made to order unless a listing is “In Stock”. 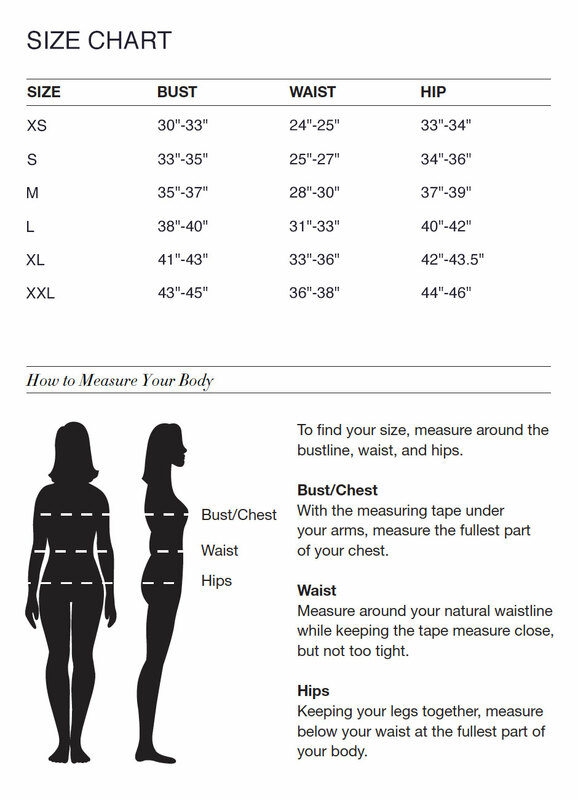 Please follow our Size Chart before ordering. If the measurements are off by more than 1″ you will need to send me your exact measurements! You can always include notes in our Special Instructions area when checking out. Once items are ordered we start processing it right away. Unfortunately, once the order is processed it cannot be cancelled. Unless an item received is defective or sent in error, we only offer Exchanges or Credit. Wholesale is available according to volume. Please contact us at [email protected] for more details. Sale Listings are Final Sales. There may be fit issues, slight fabric damage, inconsistencies, with overall product. Others may have nothing wrong with them, as it may have been on the rack a while. I try to list them aa much as I can but please ask about these items to make you know everything about it before buying. Lead Time: Every dress is made to order. Please allow 7-10 working days for us to complete your order before shipping. Shipping: Shipping times may vary, but rest assured we work our very hardest to get you your order as quickly as possible. For domestic orders we ship via USPS PRIORITY Mail (default for U.S. buyers 2-5 days to arrive). Up up and away! If your ordering from Canada, we ship via First Class Mail default for Canadian buyers (5-10 days to arrive). All other International orders are shipped via Parcel Post (2-3 weeks to arrive). Buyers are responsible for Taxes & Duties. International Buyers: please note that I do not have the option to track packages if shipped with standard Parcel Post mail. Please contact us prior to completing you purchase if you need an express shipping. NOTE: Please be informed that we are not responsible for lost or theft of items once shipped. We are also not responsible for unclaimed packages once shipped. Buyers are responsible for all return shipping charges. [email protected] and we’ll get your return started for you. Please ask questions before ordering if any of my listings are missing the information you need. Returns make us sad! We will gladly work out any issues quickly and painlessly. Because of the nature of these items, unless they arrive damaged or defective, we cannot accept returns for custom or personalized orders and items on sale. Most listings are Made to Order unless otherwise specified “In Stock”. In Stock items can be returned for exchanges or refunds. Refunds take up to 3 days to process. Refunds do not include shipping unless an items is received damaged or defective. Made to Order Listings can be exchanged for Credit Only. Custom Orders & Sale Items cannot be exchanged or Refunded. WHICH PAYMENT OPTIONS DO YOU SUPPORT? In terms of payment opportunities, you came to the right place. We accept MasterCard, VISA, Maestro, PayPal, Bancontact/Mister Cash, SOFORT banking, Giropay, EPS, Dotpay. And we will be adding more options in the (near) future. I HAVE A GIFTCARD OR PROMO CODE. CAN I USE THAT ONLINE? You can, but in order to do so, we will need to convert your physical giftcard in an online credit for you. Send an email with the code of your giftcard to [email protected] and we will turn your physical balance into an online credit. By accessing the website at https://www.tangowithlove.com, you are agreeing to be bound by these terms of service, all applicable laws and regulations, and agree that you are responsible for compliance with any applicable local laws. If you do not agree with any of these terms, you are prohibited from using or accessing this site. The materials contained in this website are protected by applicable copyright and trademark law. This license shall automatically terminate if you violate any of these restrictions and may be terminated by Tango With Love at any time. Upon terminating your viewing of these materials or upon the termination of this license, you must destroy any downloaded materials in your possession whether in electronic or printed format. The materials on Tango With Love’s website are provided on an ‘as is’ basis. Tango With Love makes no warranties, expressed or implied, and hereby disclaims and negates all other warranties including, without limitation, implied warranties or conditions of merchantability, fitness for a particular purpose, or non-infringement of intellectual property or other violation of rights. Further, Tango With Love does not warrant or make any representations concerning the accuracy, likely results, or reliability of the use of the materials on its website or otherwise relating to such materials or on any sites linked to this site. In no event shall Tango With Love or its suppliers be liable for any damages (including, without limitation, damages for loss of data or profit, or due to business interruption) arising out of the use or inability to use the materials on Tango With Love’s website, even if Tango With Love or a Tango With Love authorized representative has been notified orally or in writing of the possibility of such damage. Because some jurisdictions do not allow limitations on implied warranties, or limitations of liability for consequential or incidental damages, these limitations may not apply to you. The materials appearing on Tango With Love website could include technical, typographical, or photographic errors. Tango With Love does not warrant that any of the materials on its website are accurate, complete or current. Tango With Love may make changes to the materials contained on its website at any time without notice. However Tango With Love does not make any commitment to update the materials. Tango With Love has not reviewed all of the sites linked to its website and is not responsible for the contents of any such linked site. The inclusion of any link does not imply endorsement by Tango With Love of the site. Use of any such linked website is at the user’s own risk. Tango With Love may revise these terms of service for its website at any time without notice. By using this website you are agreeing to be bound by the then current version of these terms of service. If you set your internet browser preferences to block all cookies, you may not be able to access all or parts of our site. If you delete cookies relating to this website we will not remember things about you, including your cookie preferences, and you will be treated as a first-time visitor the next time you visit the site. To find out more about cookies, including how to see what cookies have been set and how to manage and delete them, visit www.allaboutcookies.org. https://tangowithlove.com is a site operated by Tango With Love Studio (“We”). We are an E commerce Online Business (EOB) and have our registered office at Reseda, California 91335. Contracts for the supply of services or information formed through our site or as a result of visits made by you are governed by our terms and conditions of engagement. This acceptable use policy sets out the terms between you and us under which you may access our website https://tangowithlove.com (“our site”). This acceptable use policy applies to all users of, and visitors to, our site.